This is the official announcement for he 2017 Election Committee. The Election Committee serves as a independent entity within Local 2544, separate of the Executive Board, and will have all authority to govern the 2017 Election. All members that are in good standing are eligible but must be present during the Oct. 11, 2017 meeting to nominate or be nominated. 2185 West Magee Road, Suite125, Tucson, Arizona 85742. To nominate individuals or be nominated to the 2017 Election Committee, you must be present at the October 11, 2017 meeting and be a member in good standing at the time of the nomination meeting. Dues must be current (paid through September 2017) by the time of the nomination meeting Oct 11, 2017 The Election Committee will be elected by a majority vote of the Local members prior to the beginning of the nomination process. Once elected, the Committee will meet in private and elect an Committee Chairman from among the committee members. The Committee will then decide on the balloting method and the rules governing the balloting, receive all mail associated with the 2017 Election, govern the nomination portion of the meeting, affirm candidates eligibility, responsible for crafting all announcements and notifications for the election, coordinating the voting locations with Sector/Station Management (if needed), overseeing the election process, tallying all votes, decide on contested ballots, answer questions about the election, receive and render judgement on all complaints, declare and announce winners of 2017 Election, administer oath to all Executive Board Members during the Dec 2017 meeting. Civil Service Reform Act of 1958 (CSRA) and Part 458 of the Code of Federal Regulations, and insofar as lawful and practicable with the provisions of the AFGE Constitution and the Local 2544 Bylaws. Nominations will be conducted for the following offices: President; Treasurer; Executive Vice President; Secretary; 1st Vice President; 2nd Vice President; and 3rd Vice President. In accordance with Local Union 2544 Bylaws Section 18, all elected officers of the local will be delegates to the National Convention, District Caucus, National Border Patrol Council Convention, or any other meeting where delegates might be required in the order listed above. Candidates elected in the election will be installed at the general membership meeting held on December 13, 2017 at the Local 2544 Union office at 2185 West Magee Rd Suite 125, Tucson AZ 85742 at 6:00 pm. The term of office shall run for three (3) years ending in December 2020.
the nominator’s full name, address, work duty station, and the full name of the nominee. To be eligible to nominate candidates, a member must be in good standing at the time of the nomination meeting. Dues must be current (paid through September 2017) by the time of the nomination meeting. No member will be allowed to be a candidate for more than one office in the election. To be eligible for nomination, nominees must have been a member in good standing for one year (October 2016 through September 2017) of an AFGE local. The candidate cannot be a member of any labor organization that is not affiliated with the AFL-CIO. Candidates must accept the nomination in writing at the nomination meeting. If the nominee is not in attendance, they will be notified in writing or verbally by the Election Chairman of their nomination and shall have until 5:00 p.m. on October 17, 2017, to provide written acceptance of their nomination. In the event that the nomination acceptance is not received by the Election Chairman by October 17, 2017, the nominee shall be deemed for all purposes to have declined the nomination(s) for the office(s) for which the nominee has been nominated. The Election Committee will decide when the elections will begin, the dates, times, and how the election will be conducted. Once that information becomes it will be posted on the Local 2544 website and social media sites as well as posted on Union Boards. The 2017 Election committee will be voted on and formed prior to nominations and a separate announcement will be made for that committee. You will need your AFGE member ID to log on or register. If you don’t have your ID number, please get with your Union Chief Steward or any Exec. Board member. Posted in News | Comments Off on Is your Membership up to date? The bi-monthly meeting for June was cancelled due to lack of quorum. Local 2544 will hold a Special meeting with NBPC President Brandon Judd. President Judd will be answering questions from the membership. A Glock 23 will be given to a Union member at the end of the meeting. The member must be present to win*. The April general membership meeting has been cancelled and will be moved to May. A date and location will be announced soon. In a recent decision by a Federal Deistrict Court, it has been decided that 8 questions given during critical incidents are covered under Garrity. For further explanation, please get with a Local 2544 Steward. Tucson Local 2544 President, Art Del Cueto, is interviewed about election night with Donald Trump. Posted in News | Comments Off on Get ready to work! Tucson Sector Agents have begun deploying to the Rio Grande Valley to support that sector and deal with the current influx of illegal immigrants crossing the border. 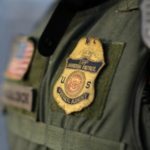 Almost three years too late, the Border Patrol is finally recognizing the amount of illegal crossings is overwhelming that Sector. 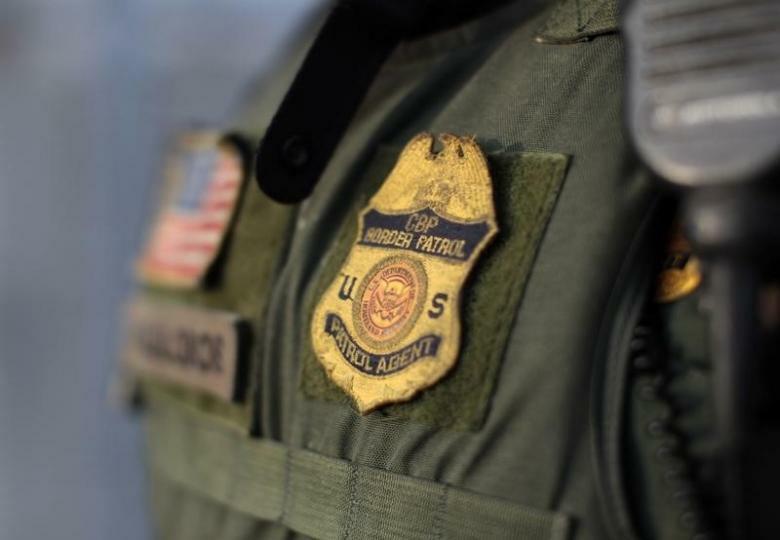 It is surprising that after three years of unprecedented illegal crossings in south Texas, it is only now, that the Border Patrol mobilizes additional Agents to assist that sector. Coincidentally, this mobilization happens at the same time Donald Trump wins the election. But when Local 2544 met with the current head of the Border Patrol, Mark Morgan, he stated he didn’t just want to throw Agents at a situation and hopes it gets fixed. So why now the change of heart? Could it be that the political appointees, in CBP & DHS realize that we have an Administration that is serious about border security?